Use the obtained information efficiently with Semalt Report Center. The user faces great volumes of statistical and analytical data while working with the website. Semalt presents these data as simple and clear-cut reports. The information is provided in convenient and understandable tables and diagrams. With the help of Semalt Report Center the user can configure automated delivery of reports at several email addresses, as well as create their own templates and sample data. The variety of settings allows to configure reports according to your targets and requirements. Semalt Report Center is the full set of tools for work with web statistics. Create and configure delivery templates. Ready reports are generated in .PDF or .CSV formats. The format .CSV allows to edit tables and work with data in Excel. The format .PDF is more suitable for presentations and marketing reports. It contains schemes and diagrams. You need to use special software to edit these documents. Create, edit and download reports in just some clicks. Manage the report status (ON/OFF) depending on the project relevancy. 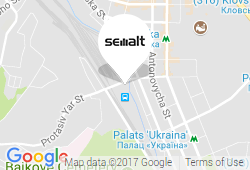 Semalt Report Сenter supports the White Label technology which is popular among the intermediary companies. Can I download the web analytics report right away? Yes, you can. Go to the section Report Center — Create, choose the required report settings and check the box Download report now in the field DELIVERY. How many email addresses can I add to the contact list? You can add unlimited number of contacts to the report delivery templates. How can I preview the report before sending it to other recipients? Choose the required variant in the section Create.